Every Sunday without fail, the parents and omnipresent Uncle Stephen set off on a walk – exploring a little corner of Lancashire each week. Occasionally, the husband and I join them, along with sporadic guest appearances from my sister and nephew Max. Weather is never a problem for the stoic parents. 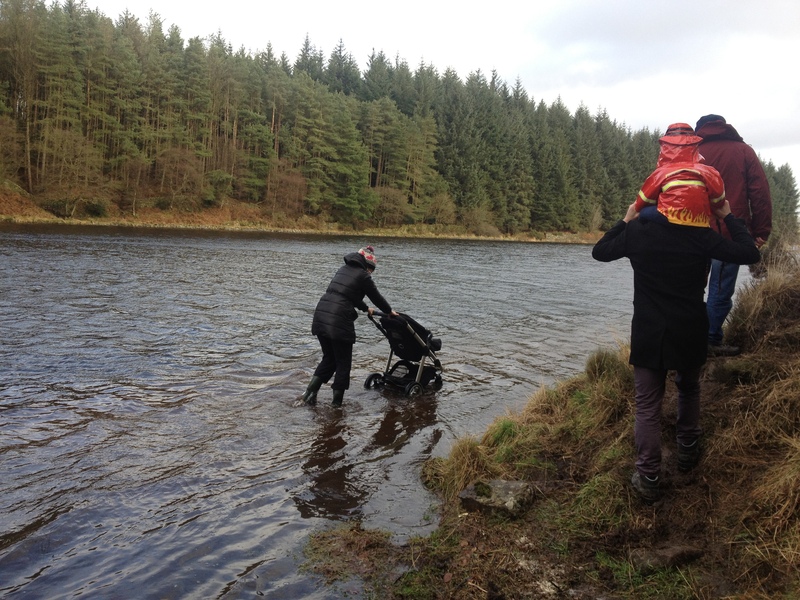 We’ve been known to battle gales, snow and hail, all in the name of a bracing country walk. ‘A little bit of rain’, as my mother would say, isn’t something that they would allow to get in the way of their weekly ramble. My mother also believes that no terrain is too rocky and no field too boggy for our hardy family to traverse. Once, on a walk in Haworth, we met a couple of walkers coming in the opposite direction, who advised that it was just too muddy further along, and that we probably should turn back now. My mother simply scoffed at their feebleness and ploughed on regardless. But the most memorable walk was around Entwistle Reservoir near Bolton earlier this year. There had been mass flooding in the area, meaning that parts of the reservoir had overflowed onto the footpath that ran around its perimeter. Signs were put up advising walkers to avoid the area. Naturally, the parents remained completely impervious to this news. It all began so well. There were a few puddles here and there – but further into the walk, the puddles began to grow, and a couple of passing dog walkers issued grave warnings that the path ahead was impassable and we should turn back immediately. My mother simply didn’t believe them, and my father, upon hearing the word ‘impassable’, was even more determined to press on. He loves a challenge. 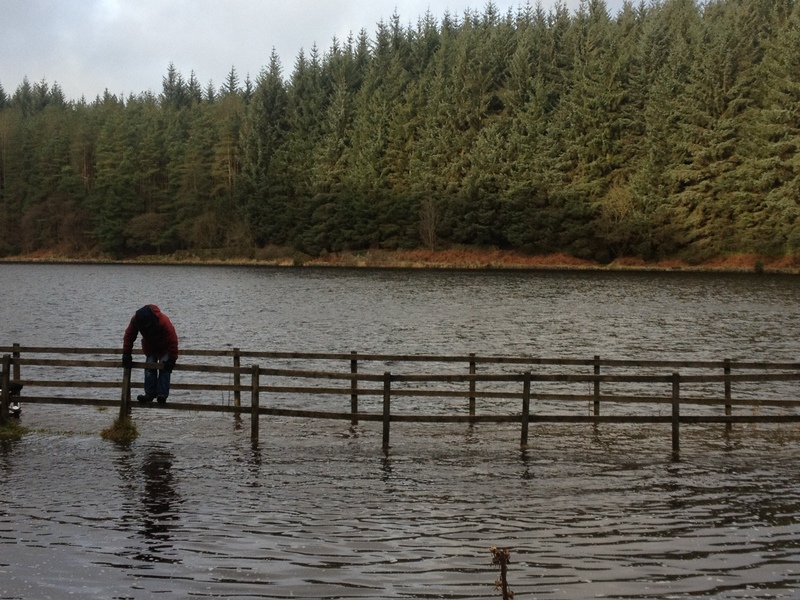 Further up, the flooding was so bad that it was impossible to see where the reservoir ended and the footpath began. It was just a giant expanse of water. Faced with this impassable challenge, it was every man for himself. 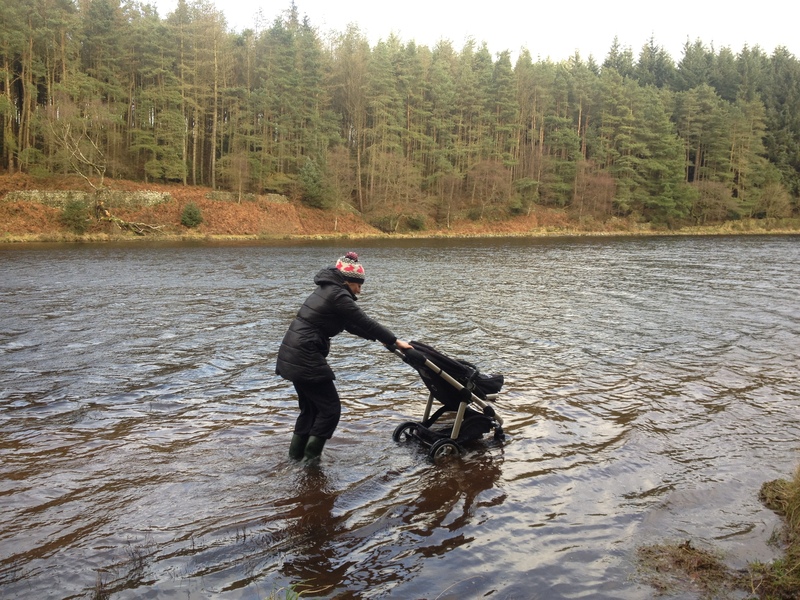 My sister, left in charge of the pushchair, had no option but to slosh straight through the water – up to her knees! The rest of us (Max, aka Fireman Sam, having been hastily hoisted onto the husband’s shoulders) decided to scramble up the bank at the side, and head for higher ground. But my father, with his adventurous streak, plumped for a more difficult route. Determined not to stray too far from the footpath, he attempted to clamber, crab-style, along a rickety fence. Half-way along, with water swirling below, the fence creaking ominously under his weight, and a sign announcing ‘dangerous undertows’, he realised that perhaps this wasn’t such a good idea after all. But while the rest of us hollered ‘turn back’ from high above, Bear Grylls With A Bus Pass gamely shuffled on, determined not to be proved wrong. Soaking wet, with squelching feet, and splinters in his hands, my father finally staggered over. ‘Well, that wasn’t too bad,’ he announced, seemingly unfazed by this brush with near-death.